CT2566 - Logo lights up with a press of the stylus. Twist rubber grip for pen. 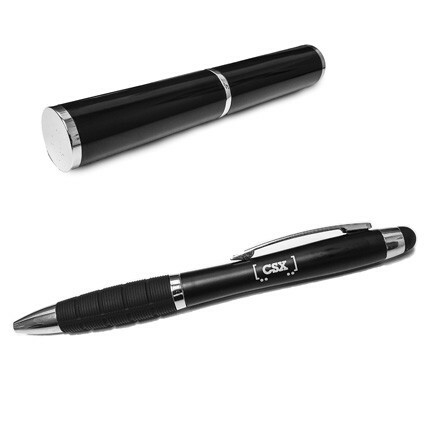 Ergonomic shape and deeply textured rubber grip for writing comfort. Shimmering finish in black with bright chrome accents. Packaged in deluxe black tube and silver gift box. Laser engraved CSX railcar logo.